Gasping. Cheering. Laughing out loud. Shaking with excitement. Our annual ALA Youth Media Awards live stream viewing party here at Eerdmans Books for Young Readers was more jam-packed with high drama than an end-zone interception at the Super Bowl — and for good reason . . . 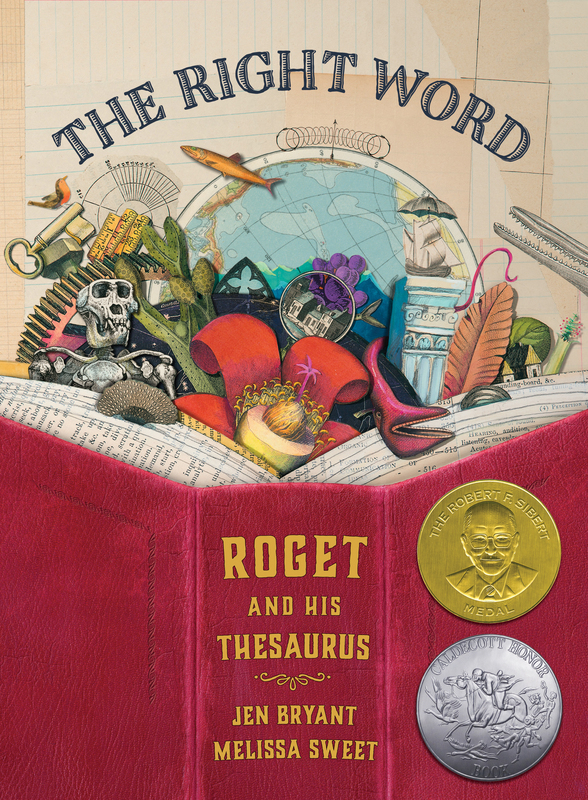 The Right Word: Roget and His Thesaurus (written by Jen Bryant, illustrated by Melissa Sweet) earned two enormous accolades from the American Library Association this morning: the Sibert Medal for “most distinguished informational book” and a Caldecott Honor, one of the highest distinctions that can be given to any illustrated children’s book. The Right Word is an inviting, visually engrossing portrayal of Peter Mark Roget and the creation of the thesaurus. Sweet’s detailed mixed media collages depict the story of Roget’s life using meticulously hand-lettered word lists, which evocatively convey Roget’s love of words, collecting, and organization — and his quest to find just the right word for every occasion. This is a second Caldecott Honor for the creative team of Bryant, Sweet, and EBYR, whose picture book biography of William Carlos Williams, A River of Words, earned a Caldecott Honor in 2009. Read an Eerdlings interview with Melissa Sweet or a guest post by Jen Bryant, watch the book trailer, or check out the official press releases announcing the Sibert Medal and Caldecott Honor winners. 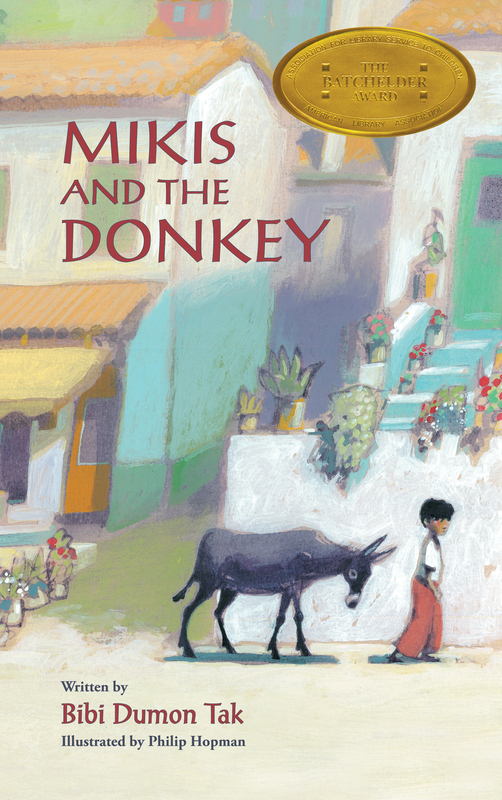 Mikis and the Donkey tells the story of a young boy living on the tiny Greek Island of Corfu. One day, Mikis’s grandfather has a surprise for him: a new donkey is waiting! Even though his grandparents constantly remind him that the donkey is a working animal — not a pet, Mikis and the donkey Tsaki soon become fast friends, and together the two have some grand adventures. Eventually, both Mikis and his grandfather learn a bit more about what exactly it means to care for another creature. This is the second Batchelder Medal for Dumon Tak, Hopman, Watkinson, and EBYR, who also won the award in 2012 for Soldier Bear. Read an Eerdlings post on this book by EBYR managing editor Kathleen Merz, or check out the ALA’s official press release. Finally, we offer our congratulations to Pat Mora, who was selected to deliver this year’s Arbuthnot Honor Lecture. Among many other books, Mora is the author of The Song of Francis and the Animals, illustrated by David Frampton.